Editor’s Note: We’ve really enjoyed looking at all of your social media posts from International Writing Centers Week! To see what other writing centers were up to, take a look at this tagboard of the #IWCWeek hashtag. If you’re interested in seeing even more posts, #IWCW16 is another great hashtag to check out on Twitter. The Nijmegen Centre for Academic Writing would like to invite tutors working at writing centres all over the world for an EWCA peer tutor event this summer. Last year, our tutors were very inspired by the exchange with international colleagues at the EWCA Peer Tutor Day in Frankfurt/Oder. Unfortunately, no Peer Tutor Day was planned for this summer, which would mean that many of our tutors would not have the opportunity to meet with other (foreign) colleagues to exchange ideas. That is why we decided to host the 2015 Peer Tutor Day in Nijmegen! With this blog post I want to highlight some of the events of The Long Night Against Procrastination Across Germany. When browsing Twitter with hashtag #lndah, I came across a tweet by Dennis Fassing, who mixed tweets, posters and images with his own commentary in a stori-fy compilation. Although the texts are in German, I think that readers from around the globe will appreciate the many faces and forms this event took on this year on or around March 5, 2015. Although the Long Night Against Procrastination began five years ago at Viadrina University in Frankfurt/Oder (one hour east of Berlin and the location of the 2014 EWCA conference), universities across the pond have also caught on. 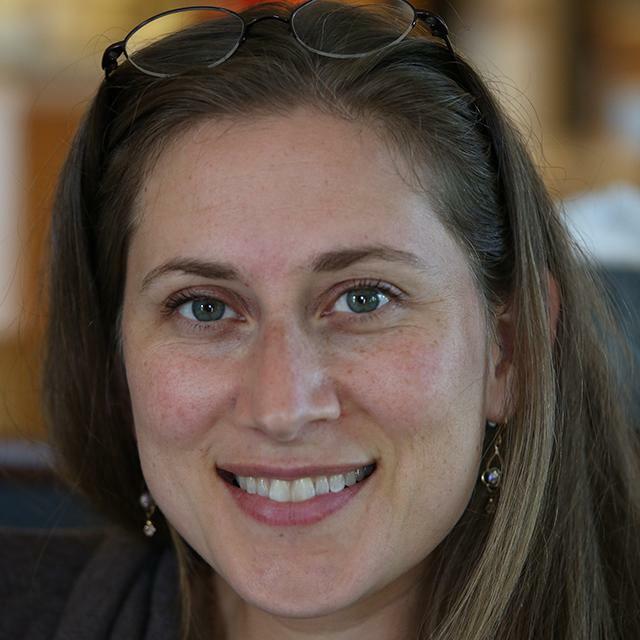 Julie Nelson Christoph, Director of the Center for Writing, Learning, and Teaching at the University of Puget Sound in Tacoma, WA shares this year’s event with us. Those of us who procrastinate have a special relationship with our procrastination, in its many varieties and causes. There’s the dreaded procrastination because of fear of the task, there’s joyous procrastination because of more enticing alternatives, and—when we’re smart—there’s what Professor John Perry calls “structured procrastination,” or putting the urge to procrastinate to good use by re-prioritizing our priority lists, so that the truly useful tasks (like major writing projects) become the distractions from the other tasks on the list (like vaguely important emails that seem pressing but have been forgotten by everyone but you). Stephanie Dreyürst, founder and director of the Writing Center at Frankfurt’s Goethe-University, holds a PhD in Early Modern German Literature. She is interested in everything that has to do with (academic) writing, reading and thinking. Her favorite ar eas of research include personal learning environments, writing intensive courses, Writing Fellows, and Digital Humanities projects. She’s a proud member of the board of the German Skeptics. Below is her account of the #lnap events this year in Germany. Like every year, I wrote and read a lot during the Long Night Against Procrastination. Only this time I never left home. My bed, to be precise. Normally, as one of two Directors of the Writing Center at Frankfurt’s Goethe University, I would have been with our peer tutors, supervising the event, watching writers settle into the library’s seats, making sure everybody was fine and happy, drinking the occasional cup of coffee (or three), closing the doors after a really long night, probably around 6:30 in the morning. But not this time. Last year, something caught the attention of Scott Whiddon, musician and director of the Transylvania University Writing Center and member of the Southeast Writing Center Association. With the support of the SWCA Conference, chaired by Stacia Watkins, who helped closely with the project, he put out a call last fall to the writing center community–not to write a paper, or panel another presentation, but to contribute music. Katrin Girgensohn, Writing Center Academic Director of the writing center at the European University Viadrina in Frankfurt/Oder (located on the border with Poland) is currently also the chair of the European Writing Centers Association (EWCA). She and Daniel Spielmann, webmaster for the website “Long Night against Procrastination,” provided information about this event for this blog. The event mirrors the #InternationalWriteIn that successfully took place last December 4-9, 2014. 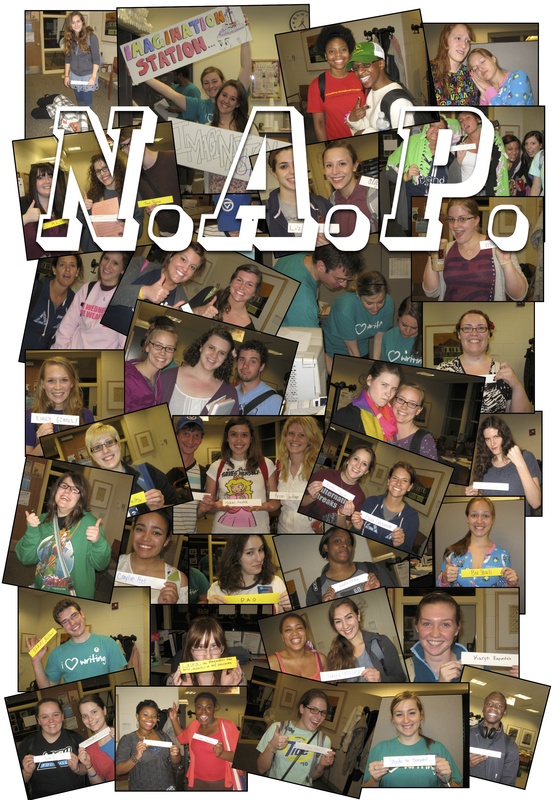 Organized by over 22 small liberal arts college writing programs and the writing centers consortium, these campuses hosted an International Write-In between the end of classes and beginning of exams. The first writing center event called “Lange Nacht der aufgeschobenen Hausarbeiten” took place at the writing center at European University Viadrina in 2010. In 2011 six more writing centers in Germany joined and in 2012 the event became international, with writing centers in the USA participating. This year organizers are hoping that they might have writing centers from Iceland, Australia and Canada participating, too. Announcement of the first Academic Text Talk (#actexttalk) We are really glad to announce to you the start of the Academic Text Talk, which promotes the reading of academic texts, discussing them together, and benefiting from this process with new experiences and knowledge. This project also advocates connecting across borders and developing an international community of people who are interested in writing theory and especially peer tutoring (everyone interested in or working with this concept is welcome). The Seventh Symposium on Writing Centers in Asia will be held on Saturday, March 7, 2015, in Kawagoe, Saitama, Japan. It will be hosted this year by Tokyo International University in conjunction with the Writing Centers Association of Japan. Proposals are sought in all areas of research and practice related to writing centers as well as the teaching and learning of writing. The submission deadline is January 15, 2015. To register to attend or to submit a proposal for a presentation, visit the WCAJ website. This week, from December 4-9, over 22 small liberal arts college writing programs and writing centers consortium are hosting an International Write-In between the end of classes and beginning of exams. Two former Swarthmore Writing Associates who work in the writing centers of NYU-Shanghai and NYU-Abu Dhabi will also host a write-in, which is how the national write-in turned into an international event. Selected tweets from the event are displayed below. Add your own, using the hashtag #nationalwritein! The first #NationalWriteIn is coming to a close. Thank you to all of the schools and students who participated. 1) We want to let people on and off campus know the value of a writing community. Our program’s mantra is, “You’re not alone,” and we think the write-ins have been another way of showing students the meaning behind the mantra. By having more schools host write-ins, we can send this message even louder. We currently have 21 schools from three countries participating in the event. Two former Swarthmore Writing Associates who work in the writing centers of NYU-Shanghai and NYU-Abu Dhabi will also host a write-in, which is how the national write-in turned into an international event. You don’t need to be at a small college to join the festivities. If your school is already hosting a similar event, and you want to be included as part of the International Write-In just let me know. You can e-mail me at jgladst1@swarthmore.edu. During those six days we hope to build a social media buzz around writingcenters and the work we do to build writing communities on our campuses. Send photos from your centers. Post the number of conferences held in a given day or night. Let’s make the work we do visible to those on and off of our campuses. Schools hosting a write-in December 4-9,2014. 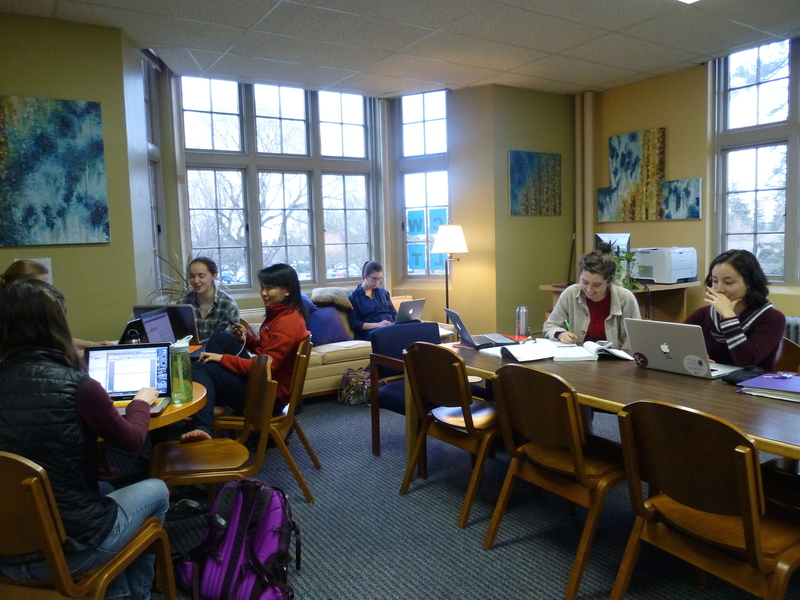 Does your writing center have a blog? How about a Facebook page or a Twitter account? Post your social media and blog links in the comments, and we’ll get to work on creating a social media directory here on the CWCAB blog! And don’t forget that you can connect with Writing Lab Newsletter via Twitter and Facebook!